I have the great privilege of being in a few places where I can fully be myself. I don’t need to code switch, I don’t need to pretend. I don’t need to use different language, and I don’t need to explain myself. I know I’m fully loved, even when I mess up or when my dark sides show more than I am comfortable with. These people actually encourage me to be more of who I am in God, and they fully respect and love all of me. These people are my family. But as an Asian-American woman, these settings are very few. Can I be fully myself at work when the majority of my co-workers, including my boss, are (white) men? Can I be fully myself in most social settings? Am I living into the stereotype of Asian American women, or trying hard enough to defy it? How many times do I need to explain my point of view, based on my cultural ways of learning and being? I never realized how exhausting it all could be, day-to-day, putting on a smile, knowing that the majority of well-intentioned people around me have their own ideas of who I am or what I can or cannot do. You and I may wonder, “Why is it that can’t fully be myself? Who cares what anyone thinks? Everyone is different, and that’s what makes the world beautiful. Just brush it off.” But when I know that there are people out there who automatically think I’m supposed to be quiet, compliant, and not speak up, I can’t fully be myself. When others call out racial slurs at me on the street when I least expect it and it leaves me feeling raw and vulnerable, I can’t be myself. When it’s just me in a work environment that is mostly men and functions in a very male-driven way, I can’t be myself. When my job and safety are at stake, I can’t be myself. Women of color face experiences like this every day, and most of the time we don’t even realize it because it’s all we know. That is why having a space to breathe and retreat is so important. It can be the greatest gift to be in a setting where we can be fully ourselves without consequence or judgment. To surround ourselves with family and meet new family members. 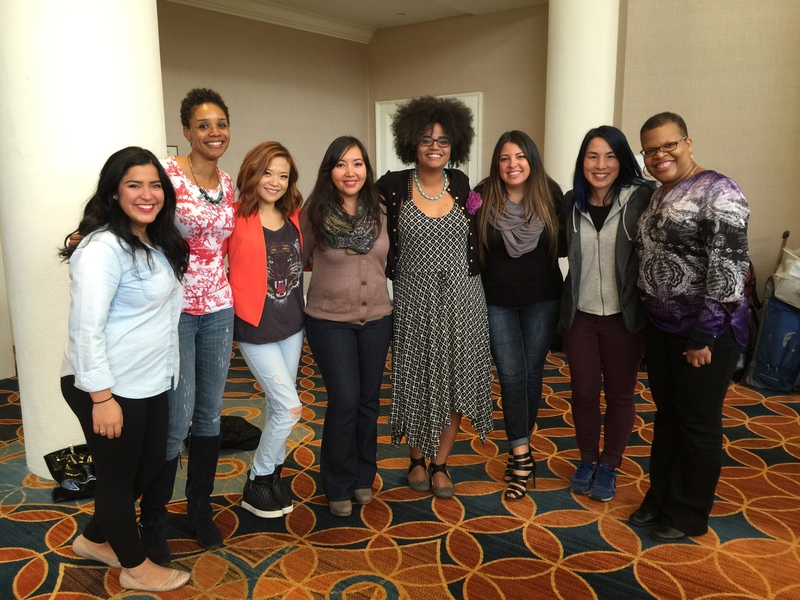 A year ago, a retreat was created, called “Clothed With The Sun: A Retreat for Women of Color.” This year it’s September 3-4 in Los Angeles, after the Christian Community Development Association National Conference, and the cost to attend is $79. In a brief 24-hour period, we can be reminded that we are not who the world says we are. We have a rare opportunity to realign and reconnect ourselves to be the fullest expressions of who God made us to be, perfect in God’s sight. We stand with each other and affirm God’s design in each other. We are reminded that Jesus radically included marginalized women in his ministry, and that as his followers we must also live into that calling to be countercultural to the world in utilizing our unique gifts. In this safe space, we freely share stories and learn how to navigate our worldly settings. And it’s a chance to celebrate all that we were made to be, even if it involves cuddling up and watching “Lemonade” together. If you are a woman of color, please consider attending this retreat. It could be a life changing experience, if not just a place to meet new family members and a chance to reset. There are all sorts of women to learn from- theologians, moms, Ph.D’s, practitioners, artists, activists, and musicians. If you are a white woman, please understand that I hear you in that you are also a woman and feel limited in so many ways. Please imagine what it would be like to have the further limitation of being an ethnic minority female in this world, and I pray that you can stand in solidarity by providing a scholarship in support, and/or sharing the word about this retreat to your WoC friends. If you are male, I appreciate you taking the time to read this, and for wanting to learn more. Please show your support for drawing out the voices in the Kingdom that are under-utilized and seldom heard, and stand in solidarity by providing a scholarship, and/or sharing the word with your WoC sisters. It could make a world of difference and could speak volumes to those who are seeking to be heard from you. Thanks, and I hope to see you in LA! What a beautiful photo and idea for a retreat. I love seeing all of your smiling faces!